Condition: NM, poster is single-sided, rolled as issued, and has very minor overall handling wear. 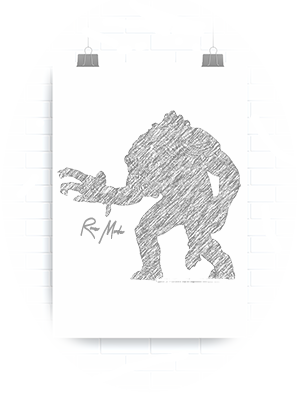 Poster is printed on a heavy glossy paper. 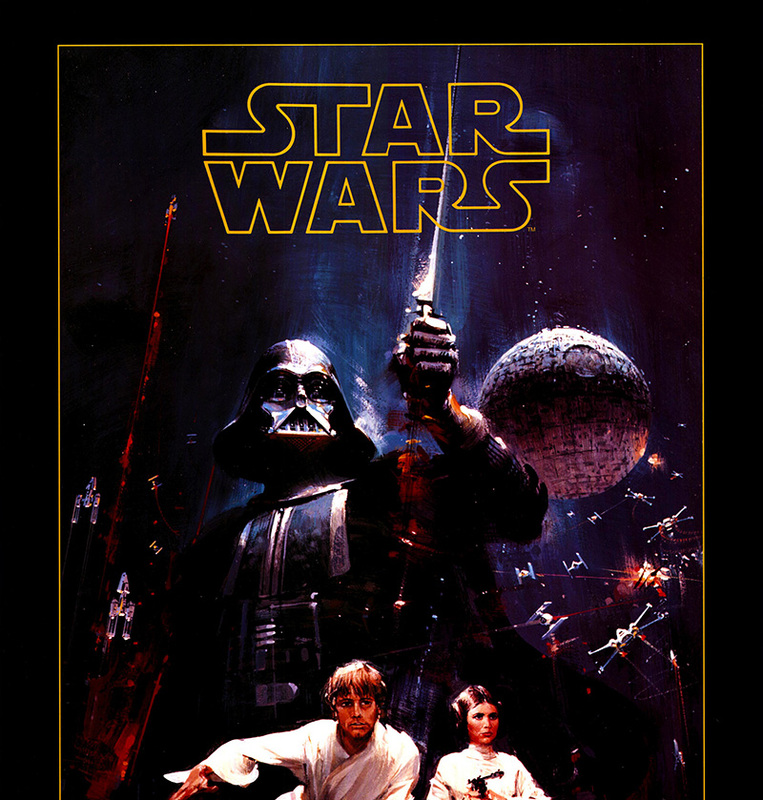 This unique "Collector's Edition" printing, by Trends International in Mississauga, Ontario, is the only licensed print available for sale to the general public that contained John Berkey's original illustration found on the cover of Alan Dean Foster's epic novelization of the Star Wars film. Please click on the extra large supersize thumbnail image to the right, to see all the small defects. Near Mint "NM" - Poster is virtually unused and in premium original condition. May have the slightest edge wear from improper handling, and a random scuff mark or two. Excellent "EX" - Poster has minor flaws, may contain small scuffs and dimples, crinkles, minute edge tears, and wear, but highly presentable. Fine "FN" - Poster has obvious small flaws from being in circulation and handled, but it is still highly presentable and in nice condition. Most used theatrical posters from around the world will fall into this category. Good "GD"- Poster is acceptable, may have tears, folds, stains, tape on back, small pieces missing. Poor "PR" - Poster is in bad condition and it should be restored. Unless otherwise noted, we usually do not sell any posters in this condition. *Please note: - for posters/collectibles or grand total sale amounts over $1,250.00, we can only accept cash, checks (personal or cashiers), or direct bank wire transfers for these items. See full details on our Payment-Authentic page. All of these authentic items are original vintage theatrical or commercially issued posters. They were used for the advertisement of the movies and/or other events associated with the distribution and/or merchandising of the films. We do not sell photo/digital reprints or reproductions of these posters. These items are the "real deal" unless otherwise noted in the summary of the description. We try our best to give the fans/collectors an honest representation of the current condition of the poster/collectible. Many of these posters have become or are becoming extremely hard to find, especially with the renewed interest of the Star Wars film franchise. This poster is from a series of "Collector's Editions" posters printed up by Trends International. 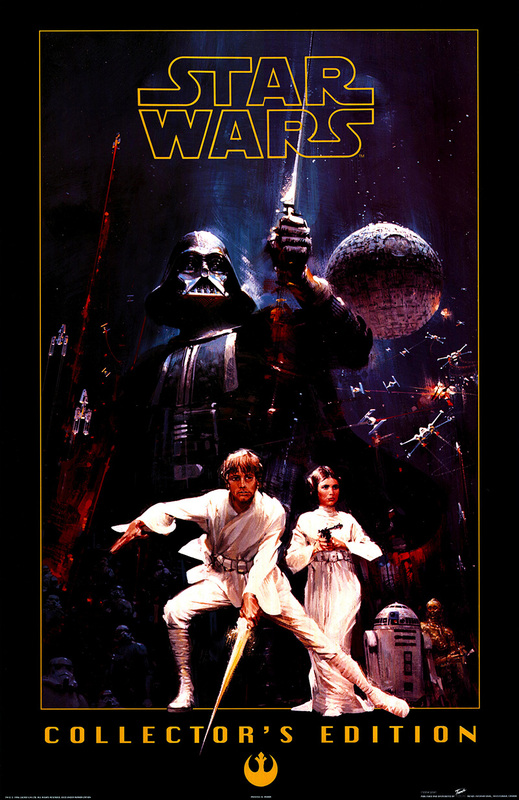 This one contains the John Berkey artwork found on Alan Dean Foster's epic novelization of the Star Wars film. It appears on the first book cover and on subsequent editions using slightly different layouts. 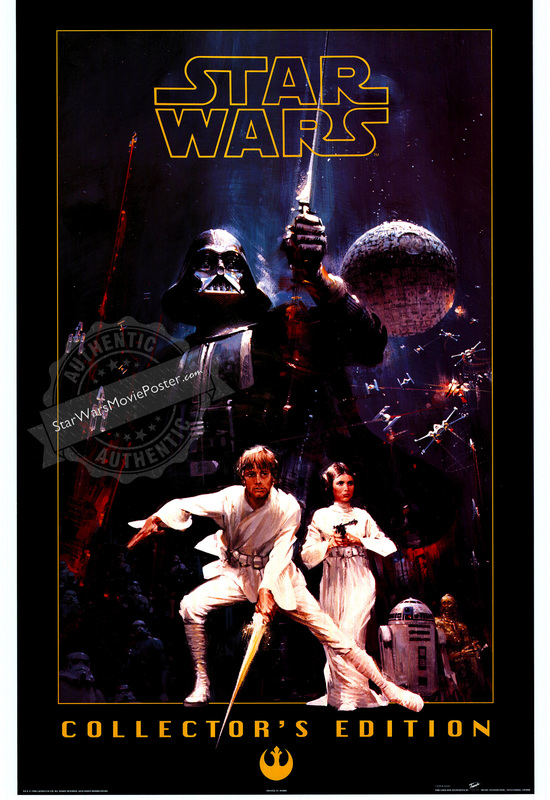 The poster also contains an outline of the Star Wars logo at the top with an inner thin yellow framing border. 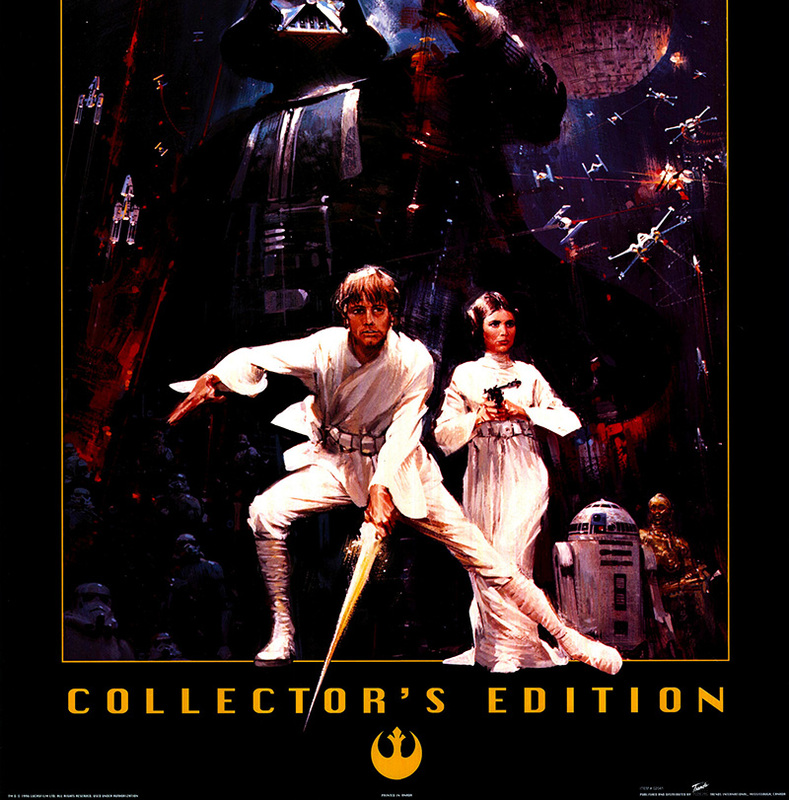 The poster is also framed with an outer black border and in the bottom credits area it states, "Collector's Editions" in yellow text with the rebel symbol in the bottom middle. Printed in Canada and additional copyright information is found at the bottom.